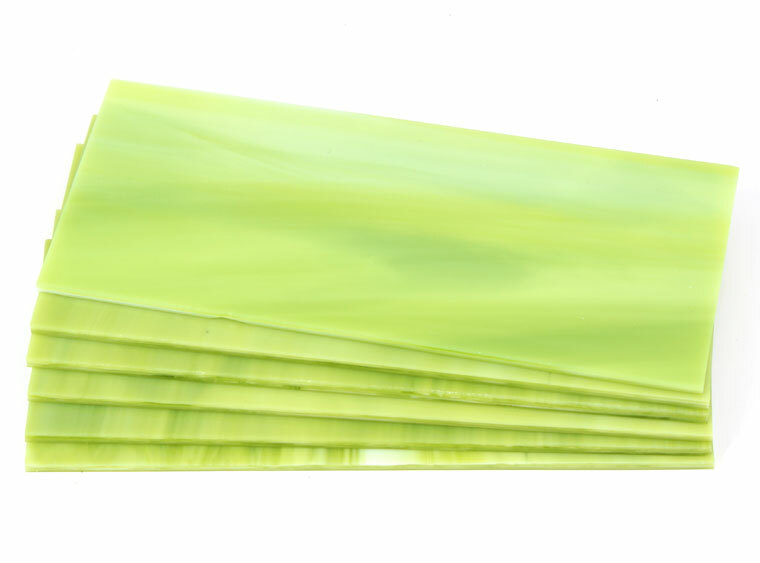 Customers will rave over COE 96 Lime Green/White Glass Blocks! Add a swirl of lime/white for a splash of color to all of your glass art! Don't forget to add this one to your cart! Glass Blocks are 2.5" x 6" pieces of sheet glass used for decorating. Use the whole block or cut up mosiac pieces to create designs. Qty: 6 pieces per pack.